Stefan Rummel, Managing Director of Messe München, was delighted with the premiere: "This result clearly shows what enormous potential there is in the African market. The event has certainly exceeded all our expectations." Elaine Crewe, CEO of the organizing company MMI South Africa, was equally satisfied: "This first IFAT Environmental Technology Forum Africa was truly tremendous in terms of quality. The support of our partners and forum participants was unique." Professor Oliver C. Ruppel, Professor of Law at the University of Stellenbosch, shares her view: "The possibilities opening up here for companies are unlimited. The forum in this format featured an outstanding line-up of the right participants from the water and mining sectors and from the relevant institutions." 90 percent of the visitors came from South Africa, five percent from other African countries and a further five percent from outside Africa. The top ten visiting countries were (in this order): South Africa, Germany, Botswana, China, Lesotho, Namibia, Zimbabwe, Nigeria, Italy and Zambia. 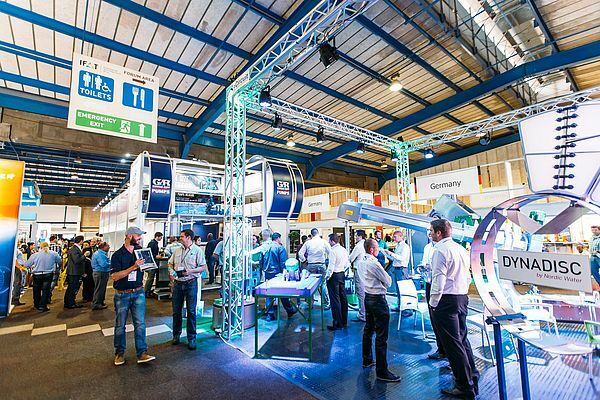 Ronny Lapke, Area Sales Manager at Hammel South Africa, is convinced that "IFAT Environmental Technology Forum Africa was excellent for our networking. We had new contacts from Namibia, Zambia, Angola, Mozambique - in fact from all over Southern Africa." IFAT Environmental Technology Forum Africa also proved to be an ideal presentation platform, as confirmed Danitta Touche, Marketing at WILO Pumps South Africa: "Our lead books are full. We generated many new leads from South Africa and the surrounding states. We definitely will join the show in 2017."